One of my ultimate goals as a Nutrition and Wellness professional is to educate people about the power of good food. I feel that the more you understand, the easier it may be to apply it in your everyday life. Today's topic is simple, but abundantly overlooked. Do you have a protein source with all your snacks and meals? If you do, you'll make the most of the time and energy you're putting into your exercise routine and the results can be great. Why not get the best results with the least amount of effort? It's very important to combine protein rich foods with good carbohydrate rich foods. Why? A meal comprised only of carbohydrates and nothing else can cause your glucose (sugar) levels to rise up and then crash down. This increase and spike may leave you feeling hungry, tired and it also gives your body an easy opportunity to covert those carbohydrates in that meal directly to fat. Including proteins will enable you to stay full longer, your glucose levels will stay more consistent, your metabolism will work more efficiently, and you will feel like you have more energy for longer periods of time. When we combine carbohydrates and proteins in a meal the carbohydrates are digested in about two hours, but the proteins take longer to digest. When the two are eaten together, proteins slow down the digestion of the carbohydrates, and energy from the carbohydrates is released slower. This is a positive result. In addition, eating carbohydrates with protein means the carbohydrates will be used for energy, leaving the protein for use in building and repairing muscle tissues. This is the primary function of protein. If you've attended one of my Nutrition 101 Workshops you know I promote the four food groups: Protein, Carbs, Fat, and Water! Make an effort to include each in every one of your daily meals and snacks throughout the day. 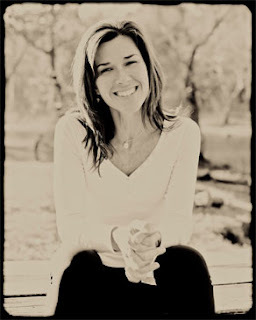 Vanessa Spiller is a Certified Nutritionist and Certified Personal Trainer. She is also certified in the TRX Suspension Training System. Visit her health and wellness website at www.gethealthywithvanessa.com. Vanessa teaches TRX classes in Gainesville, VA at Balans Studio. Check out their complete listing of classes offered at www.balansstudio.com. I promised to pass along some information about the new Alter-G treadmill at Dr. Magg's office in Gainesville. Dr. Maggs is holding an Alter-G open house on Tuesday 3/8 @ 5:30pm and on Saturday 3/12. You will be able to try out the Alter-G anti-gravity treadmill, ask questions, etc. I think that you are supposed to sign up, so just call his office if you are interested in trying it out (there is a link to his office info from the Team Roster page of our website). Everyone should try it out. It is a unique experience that is hard to describe. It made me laugh while I was running, and you know that is miraculous. I found that Wegmans has chia seeds in bulk (Sorry Kelly if George just started jumping up and down). Also, Wegmans carries Bob's Red Mill Chia seeds with a recipe for a chocolate mousse cake on the back. SWEET!!!!! Peter and I will be at the track today at 5:45PM. Probably do and easy run. I hope to be at track tomorrow night this week...if anyone cares to join. Hey Keith and Peter..did you run 5K yesterday? Yeah, I guess racepacket is slow to get results posted. It was rainy with some wind that hit us during the last mile. Peter ran in the 19:20s range for 6th overall and I was able to do a sub 18:30 (3rd overall). We're looking forward to some good weather this spring!